The quadrennial event brings together over 2,000 professional chefs who compete in various categories to battle it out to win gold. The main sponsor of the four day event, World Association of Chefs, supports 30 national teams, as well as 20 junior national teams who take part in the event. 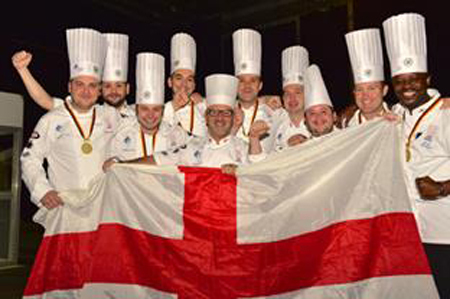 Simon Webb was captain of the English Senior Team along with longstanding Clifton Food Range supporter Nick Vadis, who guided the team to victory to bring home ‘gold’ in the Restaurant of Nations category. The team also won bronze in the international buffet category. The English Junior Team also succeeded by winning gold in the international buffet category and bronze in the Restaurants of Nations event. Clifton Food Range supported the team with equipment during the competition. We are very proud to be able to support such talented and inspiring chefs. Congratulations to Nick, Simon and the rest of the team on their win!